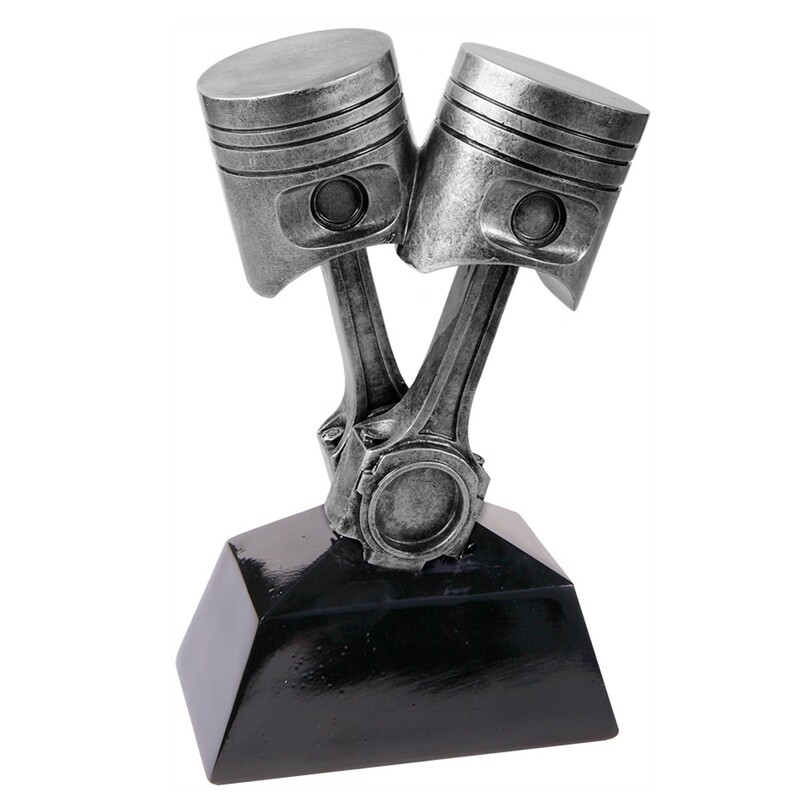 This Piston Racing Trophy will be the talk of your car show or auto race! This auto award has a two silver-tone pistons attached to a black piano finish base. Personalize with your logo or three lines of your text for a truly memorable racing award. 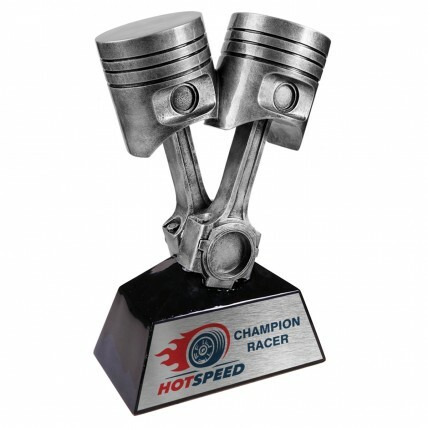 This awesome car trophy is available in two sizes: small (7 inches), and large (11 inches).